So after success with Okra and Ivy Gourd I tried the same recipe and method with Brinjal and it was delicious. 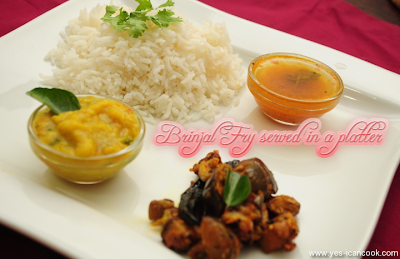 We already like brinjal and I cook it quite often. 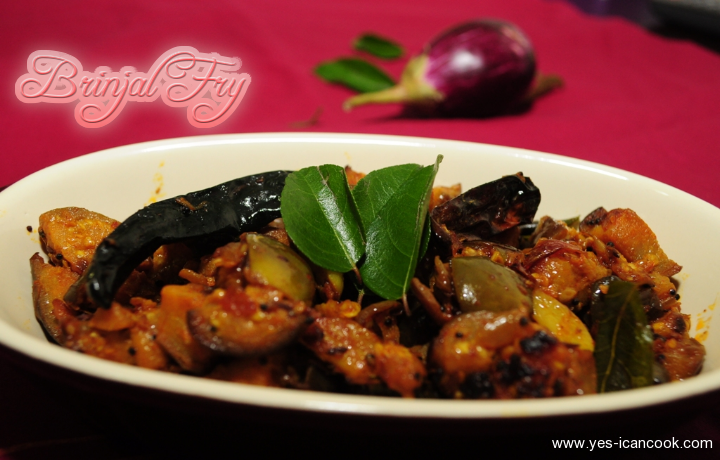 I am yet to post any brinjal recipes and this is my first. Give it a try and you will love it. It tastes as a great accompaniment and side dish with rice and curry of choice. You can serve it with any Indian bread too. 1. Wash Brinjal. I used small round blue brinjals. Cut and discard the crown. Cut the brinjal vertically into 4 pieces and then cut into wedges. Let the pieces remain in water till added. 7. Add brinjal pieces, chilli powder, turmeric powder and salt and mix well. 10. 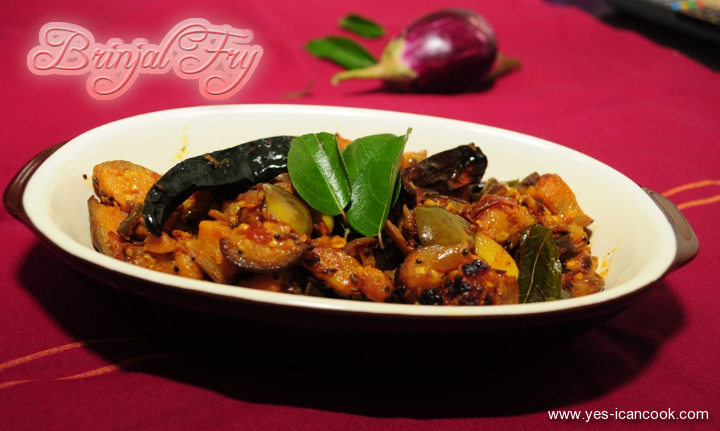 Reduce the flame to low and keep frying till brinjal turns soft and a little brown. Make sure not to burn. Roast for about 15-20 minutes. Nice easy recipe, Love your photos. Let me know how you like it Sameena. Brinjals are welcome always in my home. Your recipe looks fantastic. Let me know how you liked it Priya when you make the recipe.